COMPETITION TO WIN Casting Call Pro Annual membership + Headshot 360! 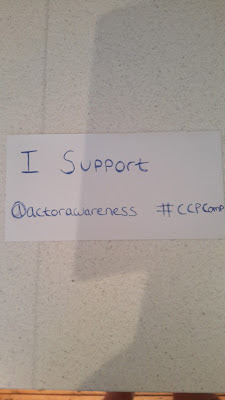 ● Take a selfie holding a "I support #actorawareness #CCPcomp" sign in the most fun and inventive way you can. We are asking for you to think outside the box for your picture, maybe on top of a sky scrapper, crowd surfing, scuba diving, a hilarious costume or even with a celebrity if you can find one, interpretation of the theme is down to you. 2. Hurry, competition closes June 13th at midnight!